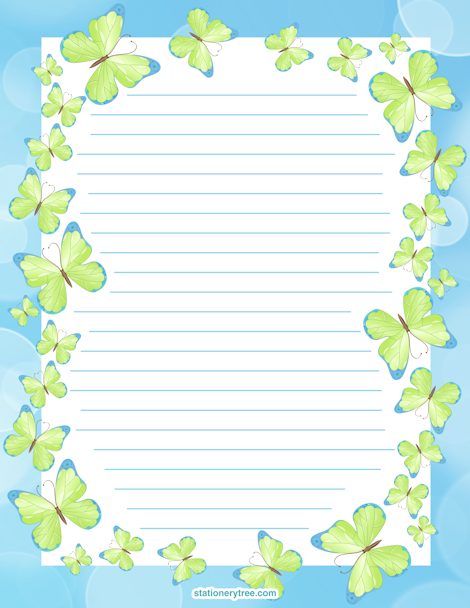 A blue and green color scheme with butterflies arranged around the center of the page. Blue lines are included on the two lined versions. A blue border around the outside edge of the page completes the design. This template is available in three versions: blank stationery (without lines), lined stationery, and writing paper for kids to use for learning handwriting. The stationery is sized to work with 8.5 x 11 paper (letter size).